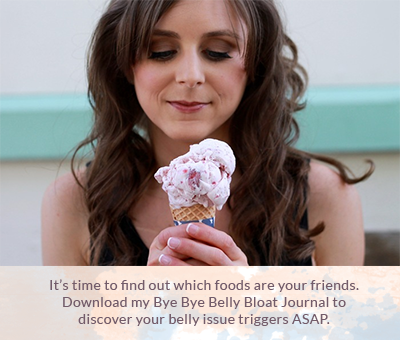 Concerned about sweets in your diet? Research supports that refined sugar contributes to negative health consequences. However, sweetness adds a sense of pleasure to our palates, rounds out flavors, and provides satisfaction to prevent overeating. Healthy natural sweeteners make it simple to manage blood sugar levels without deprivation or harmful artificial sweeteners. Herbs such as fenugreek, neem, and tulsi, and spices such as chili and cinnamon may be used to help manage blood glucose levels. Of course there are whole fruits high in fiber to minimize blood sugar spikes and nutrient-rich sweeteners such as 100% maple syrup (not pancake syrup) and blackstrap molasses, but these do impact blood sugar. 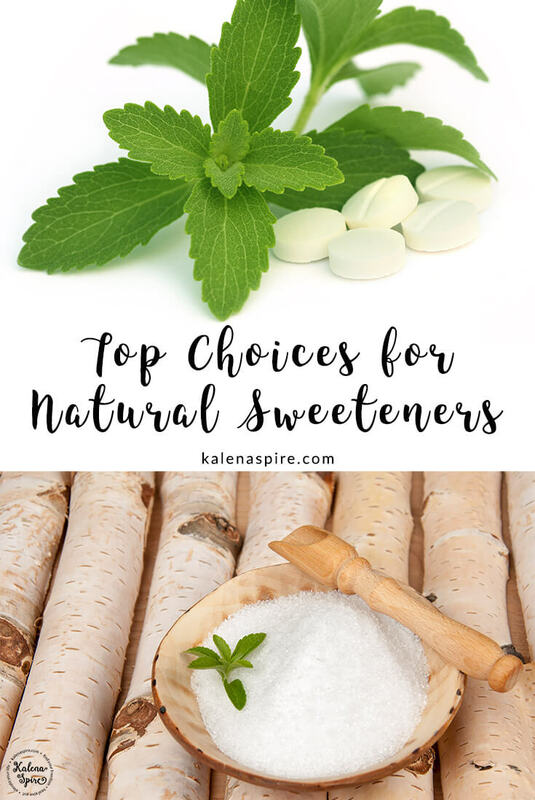 Conversely, natural sweeteners such as stevia, xylitol, erythritol, and monk fruit offer sweetness with little or no effect on blood sugar levels. Stevia is an herb from the daisy family that is 200-300 times as sweet as sugar. It comes in a variety of forms, but the pure extract and liquid are the least refined. And stevia has multiple medicinal properties. Xylitol is a sugar alcohol from corncob and birch tree bark and helps prevent tooth decay. It has about the same sweetness as sugar, but 40% fewer calories. Similarly, erythritol is a sugar alcohol from fruits and vegetables. Although erythritol tastes like sugar, erythritol is 60-70% less sweet. Moreover, monk fruit is 300 times sweeter than sugar, considered an antioxidant, and health supportive. Erythritol: baking, beverages, yogurt, dairy-free ice cream, etc. Xylitol: baking, beverages, yogurt, dairy-free ice cream, candies, etc. *Sugar alcohols (e.g. xylitol, erythritol) are not fully absorbed in the small intestine, so overconsumption may cause bloating, flatulence, or diarrhea. Erythritol is typically well tolerated. Download and print this guide for all your healthy natural sweeteners needs. Hungry for more great guides? Be sure to subscribe to my newsletter by clicking here to access exclusive content just for subscribers. Experiment with different healthy natural sweeteners to find which ones satisfy your palate while supporting healthy blood sugar levels! Ready to sweeten your life in a healthy way? 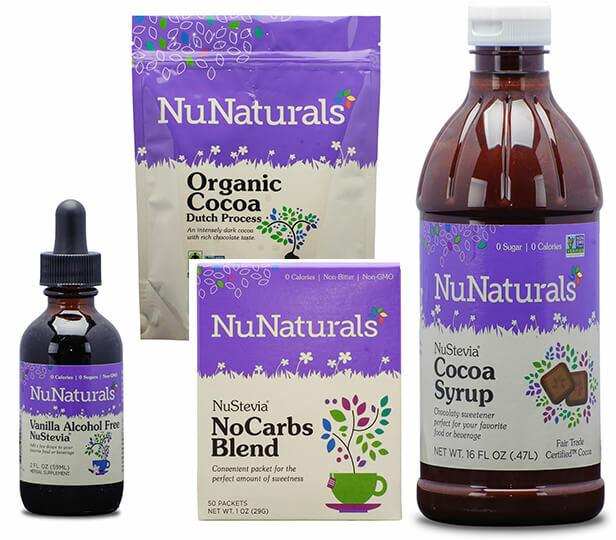 NuNaturals, my favorite brand of stevia, has generously sponsored a giveaway. Update: NuNaturals is sponsoring another giveaway for 2018! Please note: we cannot ship to PO boxes. Open to US residents only. Giveaway #2 closes at 12 am ET on January 31, 2018. Visit www.nunaturals.com and receive 15% off your entire order (NOT to be combined with any other discounts). Enter discount code “BLG0618” at checkout. This discount remains EFFECTIVE UNTIL JUNE 30, 2018. Online ordering customers may also receive FREE SHIPPING to the CONTINENTAL U.S. on all orders exceeding $ 35.00 after discounts. Giveaway #1 closed at 12 am ET on October 6, 2016. What’s your favorite healthy natural sweetener? Share in the comments below! Sellman, S. (2002). Xylitol—Our sweet salvation. Total Health, 24(4), 22-24. Wood, R. (1999). The new whole foods encyclopedia: A comprehensive resource for healthy eating. New York: Penguin. I really want to try stevia after reading this post. I’ve been looking for natural alternatives to sugar and artificial sweeteners. Thank you for this information-packed post. I love the handout . . . it’s printed and on my refrigerator already :). I’m so glad you enjoyed the post and found the handout useful! It makes me happy to know that you have a go-to resource for healthy sweeteners. I’d like to win, because I’m a stevia user. Awesome, Annette! I’m happy to hear that you already use stevia and could benefit from this giveaway. I switched to stevia back in May and I’m looking for the best tasting product. I certainly went through a number of stevia products before I found the “sweet spot.” Many companies products stevia products that are bitter and taste off. NuNaturals is my go-to brand for superior flavor and quality. I like to feed my family as healthy as I can, so this prize would be great for us! What a spectacular reason! I’m sure this would be a “sweet” healthy treat for your family :). I love that motivation! Sharing benefits our health in so many ways. Good luck to you (and your roommates)! I would like to win because I have never tried these products and have been trying to find natural products to use. What a great reason for wanting to win! I have found that experimenting with similar products from different companies is really helpful for determining your favorite. Since there are multiple formulations (even within one company), sometimes it might take a few different variations to find the one that tastes appealing to you. This was certainly the case when it came to my encounter with stevia :). You can mix different sweeteners, too, to find a balance that meets your needs. This is especially helpful when it comes to baking with natural sweeteners. Love Stevia. Trying to help our family better. This would help. I love how you’re taking action to improve your family’s health. What a great idea! It can be challenging to live with diabetes. 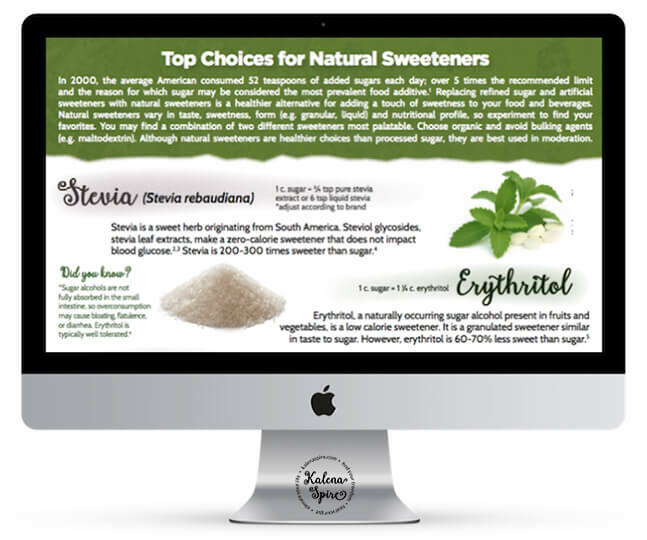 Stevia is a wonderful alternative to harmful artificial sweeteners. Good luck to you and your mom! I have a sweet tooth and I am always looking to sweeten up my tea and coffee! Well that sure sounds like a reason to win this giveaway. I’ve been known to enjoy the chocolate syrup right off a spoon when my “sweet tooth” needs to be satisfied. I’m a diabetic and this would be a different and better alternative to sugars. Sounds amazing! I commend you for looking to try healthier options to help manage your diabetes. My mom has diabetes and she would like to try this. These would be awesome items for you and your mom to try. Your mom is fortunate to have you to look for healthy options to meet her needs. I would like to win because I already use stevia. I haven’t tried this brand yet, nor dud I know about it. The Cocoa powder and syrup are two products I would love to try the most. I would love to use the syrup to give my children chockolate milk that is natural and safe. How wonderful that you already use stevia. I’m confident you will like stevia from NuNaturals. The chocolate syrup makes for yummy chocolate milk. I use it in homemade coconut milk and almond milk for a chocolate treat and it’s delicious! It also makes for a decadent coconut milk “ice cream” topping. Kudos to you for supporting your children with healthy foods, and good luck! I’d like to win this collection because I love trying new to me products! Yes, trying new products is always fun. Would love to win , wanted to try these. Awesome, Jeremy . . . good luck! I would love to try all of these products. They all sound amazing! They are amazing, just like everyone who reads this post :). I’d love to win because I try to be as healthy as I can be. 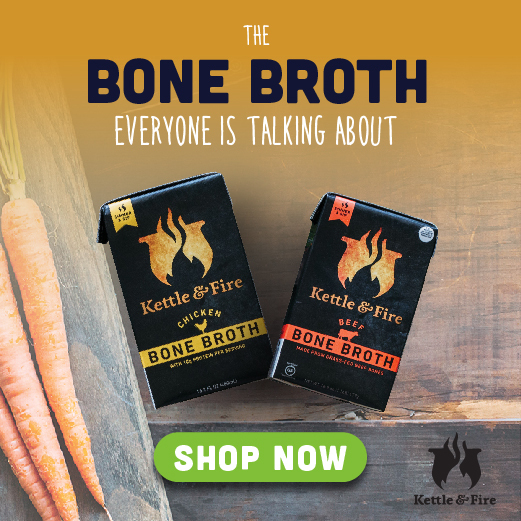 These sound like great alternatives to processed sugar, so it would be great to try them. Thanks! Making small positive changes makes healthy eating a lifestyle, so I acknowledge you for the steps you have taken thus far. Yes, these “goodies” are excellent alternatives to refined sugar. I am excited to win the cocca powder. Excellent choice! Although I have been using NuNaturals stevia for a long time, I only recently tried the company’s cocoa powder. It is delicious. Unlike other brands I have used, the cocoa powder has a rich color and silky appearance. I eat way too much sugar, I’d like an alternative! This would sure be a great package to receive to help you find sugar alternatives. I would like to use this in my coffee. What a great idea! You could definitely make an awesome mocha. Woo-hoo, wanting to try new products is a wonderful reason to win one of these gift packages. They will certainly transform your dish of ice cream to an ice cream sundae! If you’re looking for a dairy-free whipped cream, you can check out this post for a recipe. I would love to to win the NuNaturals gift package because my sister was recently diagnosed with cancer and I have been trying to live a healthier lifestyle and learn more about what I put into my body! It really has been an eye opener for my whole family! Knowledge is power! Keep making those healthy choices. You and your sister might enjoy downloading the calendar in this post to practice stress-relieving activities to promote health. I wish you much luck and your sister much healing! You’re very welcome! Thank you for expressing your gratitude. I’m always up for trying new things! I tend to sweeten with maple, but sometimes, it needs something else. I’m glad to hear that this would offer you a sweetener alternative. I love NuNaturals! I use Vanilla Alcohol Free NuStevia Liquid when I froth my milk for my morning latte! The liquid is so convenient and easy to use! I’m happy to hear that you are already enjoying the Vanilla Alcohol Free NuStevia Liquid. Your morning latte sounds delicious. I would love to win this for myself. I am pre-diabetic. Way to go for making healthy choices to support your blood sugar. Definitely download the handout for different sugar alternatives without harmful chemicals. That’s great! You’re very welcome. Yes, it’s always a great idea to find healthier ways to satisfy our need for a sweet treat! I would like to make homemade brownies. To start cooking with healthy ingredients. What a fabulous reason to want to win the prize pack! I want to make the loaded brownie sundae. Kudos to you for using sugar alternatives that support the management of your type 2 diabetes. The cocoa powder is rich and delicious. I wish you much luck and health!